Former Georgia Supreme Court Chief Justice Norman Fletcher and former State Corrections Deputy Director Vanessa O’Donnell have joined the effort to spare Kelly Gissendaner, who is scheduled to be executed in Georgia on September 29 for recruiting Gregory Owen, with whom she was romantically involved, to murder her husband. Owen made a deal with prosecutors for a life sentence and will be eligible for parole in 8 years. Justice Fletcher wrote a letter to the Georgia Board of Pardons and Paroles, who hold the power to grant clemency in Georgia, saying that - given Owen's sentence - Gissendaner's death sentence is disproportionate to her role in the murder. "The State of Georgia has not executed a person who did not commit the actual killing since the death penalty was reinstated in 1976," he wrote. "There is a reason for this. Kelly Gissendaner should not be the first." Fletcher said the process the court used to conduct proportionality review at the time of Gissendaner's appeal "was deeply flawed" and that he had been wrong to join with other justices in ruling that Gissendaner's sentence was proportionate to the sentences imposed for other similar murders. O'Donnell, who was the warden from 2001 to 2004 at the state prison in which Gissendaner was incarcerated, urged the Board to grant Gissendaner clemency because of her "exceptional prison adjustment, her role in the crime as compared with her co-defendant who is serving a life sentence, her remorse, and the pleas of the Gissendaner children." O'Donnell told the Board that Gissendaner had "reached out to other inmates at their lowest ebb of despair and helped them to recognize their worth and to see a path out of prison" and, if spared, "can provide hope to the most desperate female offender in a manner no one else could possibly understand." 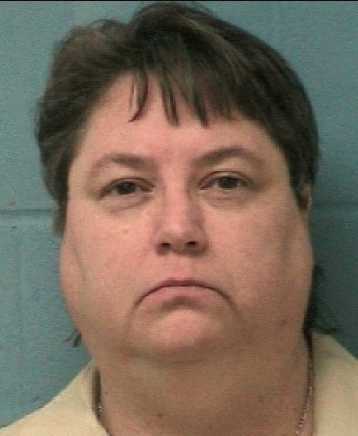 Dozens of prison spiritual advisors, inmates, and prison staff, as well as two of her children, have requested clemency for Gissendaner. ("Officials seek clemency for Ga. mother on death row," USA Today, September 27, 2015; 11 Alive Staff, "Former high-ranking state officials join growing chorus asking for Gissendaner clemency," WXIA-TV, September 26, 2015.) See New Voices and Clemency.